What is a canoe outfitters? 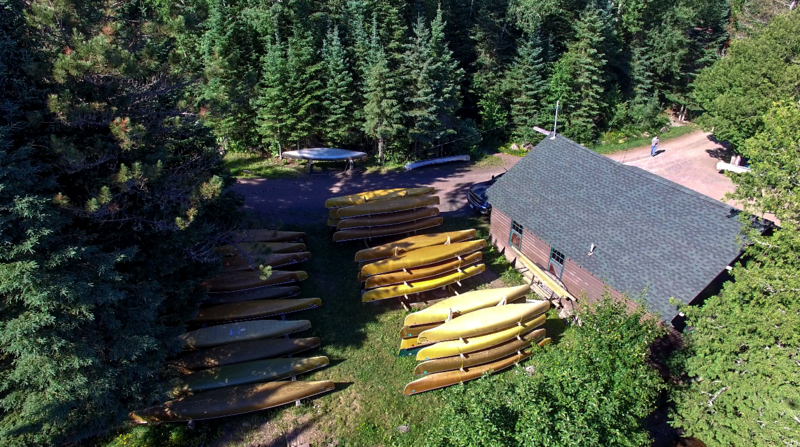 Here on the Gunflint Trail we have many entry points into the Boundary Waters Canoe Area Wilderness (BWCA or BWCAW). Some people have all the gear they need for a trip into the wilderness, while others rely on a local expert to provide them with not only the best gear but the best advice. It gets even better if the outfitters is located next to the entry point you are interested in exploring. 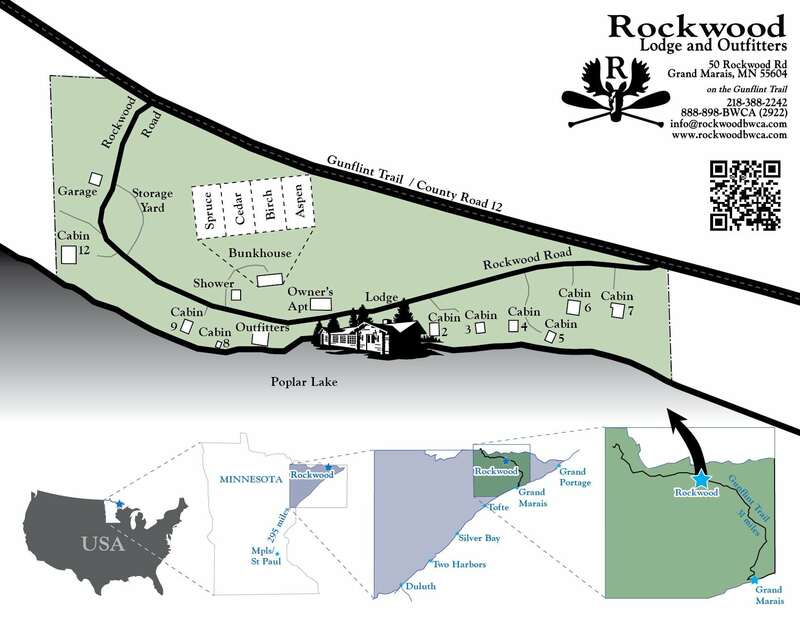 Rockwood is on Poplar Lake, which, while officially completely outside of the boundary waters, has three great entry points into the BWCA. Lizz Lake EP 47 is near Swamp Lake, and is a short easy entry that leads into a great selection of lakes for fishing and campsites. Meeds Lake EP 48 is a mile long entry that reduces the number of other visitors because of the effort. This also has a positive impact on the quality of fishing in Meeds Lake, well known for Walleye. Our third entry point, Skipper Lake EP 49, is a great start to a long chain of lakes that are isolated, remote, good for fishing. While Rockwood does not have a restaurant, we are able to put together meals for the canoe trips including a quick start breakfast. Our freeze dried camping food is freshly made for us also on Poplar Lake at Trail Center. They have a line of meals called “Camp Chow“. Many options including solo, vegetarian and vegan are available, and the proportions are enough to fill you up. Each comes with detailed instructions on preparation.